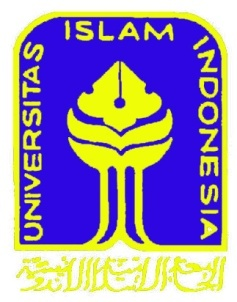 Download "DiajukanKepadaUniversitas Islam Indonesia YogyakartaUntukMemenuhi PersyaratanMemperolehDerajatSarjana Strata SatuTeknikSipil"
TINJAUAN TERHADAP TUGAS ADMINISTRASI KEPEGAWAIAN BADAN KETAHANAN PANGAN PROVINSI SUMATERA UTARA TUGAS AKHIR Disusun Sebagai Satu Syarat Menyelesaikan Pendidikan Program Diploma 3 Oleh : RISDA LINDA M.
ABSTRACT Companies whose business activities to produce food from raw materials into finished products to be competitive in marketing their products require management and control of the cost of production. ANALISIS BEBAN KERJA PEGAWAI UNTUK MENENTUKAN JUMLAH KEBUTUHAN MAGANG (STUDI KASUS PADA DEPARTEMEN HUMAN RESOURCES PLANNING AND DEVELOPMENT PT. BAB I PENDAHULUAN. sumber daya tersebut anatara lain manpower, material, machines, method, money.